Edingtonite: Mineral information, data and localities. Most edingtonites are orthorhombic (space group P212121), while some are tetragonal (space group P-421m) and called 'tetraedingtonite'. Orthorhombic edingtonites have (Si,Al) order, while tetragonal edingtonites are characterised by (Si,Al) disorder (symmetry increase due to disorder). Edingtonite Subgroup A subgroup of the Zeolite Group. Calcite 7 photos of Edingtonite associated with Calcite on mindat.org. Natrolite 4 photos of Edingtonite associated with Natrolite on mindat.org. Magnesio-arfvedsonite 1 photo of Edingtonite associated with Magnesio-arfvedsonite on mindat.org. Kerolite 1 photo of Edingtonite associated with Kerolite on mindat.org. Haidinger, W.K., Turner, E. (1825) Description of edingtonite, a new mineral species. The Edinburgh Journal of Science: 3: 316-320. Brush, G.J., Dana, E.S. (1879) On the mineral locality in Fairfield County, Connecticut, with the description of two additional new species. Second Paper, American Journal of Science and Arts: 17: 359-368. Galli, E. (1976) Crystal structure refinement of edingtonite. Acta Crystallographica: B32: 1623-1627. Kvick, A., Smith, J.V. (1983) A neutron diffraction study of the zeolite edingtonite. The Journal of Chemical Physics: 79: 2356–2362. Mazzi, F., Galli, E., Gottardi, G. (1984) Crystal structure refinement of two tetragonal edingtonites. Neues Jahrbuch für Mineralogie, Monatshefte: 1984: 373-382. Grice, J.D., Gault, R.A., Ansell, H.G. (1984) Edingtonite: the first two Canadian occurrences. The Canadian Mineralogist: 22: 253-258. Belitsky, I.A., Gabuda, S.P., Joswig, W., Fuess, H. (1986) Study of the structure and dynamics of water in the zeolite edingtonite. Neues Jahrbuch für Mineralogie, Monatshefte: 541–551. Belitsky, I.A., Fursenko, B.A., Gabuda, S.P., Kholdeev, O.V., Seryotkin, Yu.V. (1992) Structural transformations in natrolite and edingtonite. Physics and Chemistry of Minerals: 18(8): 497–505. Meikle, T.K., Todd, J.G. (1995) Silica-rich edingtonite and associated minerals from Loanhead Quarry, Beith, Strathclyde - a new Scottish locality. Journal of the Russell Society: 6: 27-30. Ståhl, K., Hanson, J.C. (1998) An in situ study of the edingtonite dehydration process from X-ray synchrotron powder diffraction. European Journal of Mineralogy: 10: 221-228. Zaitsev, A.N., Wall, F., Le Bas, M.J. (1998) REE-Sr-Ba minerals from the Khibina carbonatites, Kola Peninsula, Russia: their mineralogy, paragenesis and evolution. 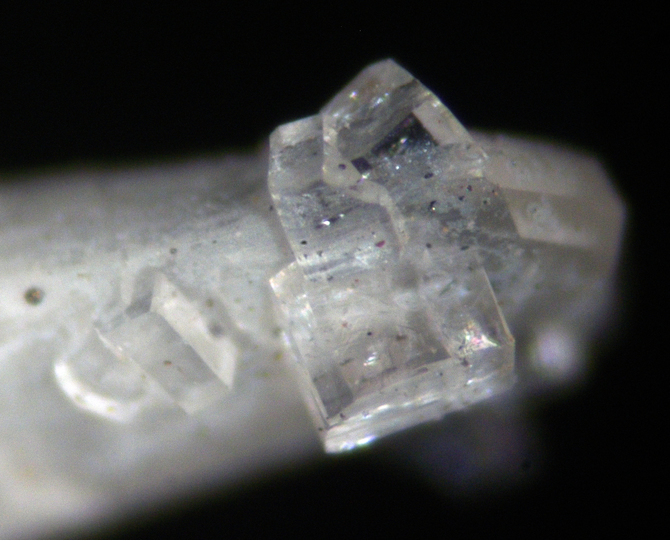 Mineralogical Magazine: 62(2): 225-250. Goryainov, S.V., Kurnosov, A.V., Miroshnichenko, Y.M., Smirnov, M.B., Kabanov, I.S. (2003) Low-temperature anomalies of infrared band intensities and high-pressure behavior of edingtonite. Microporous and Mesoporous Materials: 61: 283-289. Gatta, G.D., Boffa Ballaran, T. (2004) New insight into the crystal structure of orthorhombic edingtonite: Evidence for a split Ba site. Mineralogical Magazine: 68: 167-175. Gatta, G.D., Boffa Ballaran, T., Comodi, P., Zanazzi, P.F. (2004) Isothermal equation of state and compressional behavior of tetragonal edingtonite: American Mineralogist 89: 633-639. Gatta, G.D., Boffa Ballaran, T., Comodi, P., Zanazzi, P.F. (2004) Comparative compressibility and equation of state of orthorhombic and tetragonal edingtonite. Physics and Chemistry of Minerals: 31: 288-298. Lee, Y., Hriljac, J.A., Studer, A., Vogt, T. (2004) Anisotropic compression of edingtonite and thomsonite to 6 GPa at room temperature. Physics and Chemistry of Minerals: 31: 22-27. The following Edingtonite specimens are currently listed for sale on minfind.com. Peter, J. M., & Goodfellow, W. D. (1996). Mineralogy, bulk and rare earth element geochemistry of massive sulphide-associated hydrothermal sediments of the Brunswick Horizon, Bathurst Mining Camp, New Brunswick. Canadian Journal of Earth Sciences, 33(2), 252-283. Chakhmouradian A.R., Zaitsev A.N. (2002) Calcite–Amphibole–Clinopyroxene rock from the Afrikanda complex, Kola peninsula, Russia: mineralogy and a possible link to carbonatites. III. 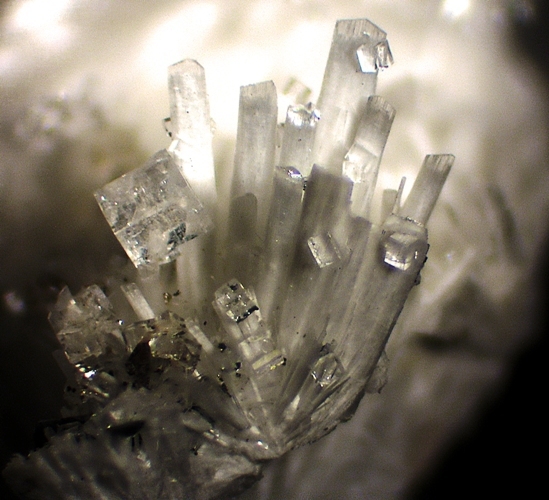 Silicate minerals. - Canadian Mineralogist, Vol.40, pp. 1347-1374. Kozyreva, L.V., Zorina, M.L., Romanova, T.S. [Козырева, Л.В., Зорина, М.Л., Романова, Т.С.] 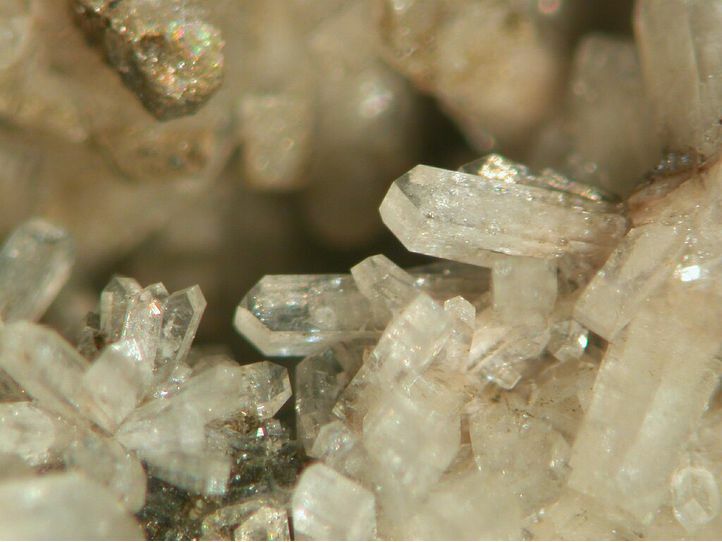 (1976): A find of cryolite and dawsonite in the Khibiny massif [Находка криолита и давсонит в Хибинском массиве]. In: Minerals and parageneses of minerals of rocks [Минералы и парагенезисы минералов горных пород]. Nauka [Наука], Leningrad, pages 67-70 (in Russian); Nadezhdina, T.N., Pobedimskaya, E.A., Khomyakov; A.P. [Надежина Т.Н., Победимская Е.А., Хомяков А.П.] (1984): Crystal structure of tetragonal edingtonite from Khibiny [Кристаллическая структура тетрагонального эдингтонита из Хибин]. Mineralogicheskiy zhurnal [Минералогический журнал], 6, 5, 56-63 (in Russian); Yakovenchuk, V.N., Ivanyuk, G.Yu., Pakhomovsky, Ya.A., Men'shikov, Yu.P. (2005): Khibiny. Laplandia Minerals Ltd. (in association with the Mineralogical Society of Great Britain and Ireland), Apatity, 468 pp. ; Zaitsev, A.N., Men'shikov, Yu.P., Yakovenchuk, V.N. [Зайцев, А.Н., Меньшиков, Ю.П., Яковенчук, В.Н.] (1992): Barium zeolites of the Khibiny alkaline massif [Бариевые цеолиты Хибинского щелочного массива]. Zapiski Vserossiiskogo Mineralogicheskogo Obshchestva [Записки Всероссийского Минералогического Общества], 121, 2, 54-61 (in Russian); Yakovenchuk, V.N., Ivanyuk, G.Yu., Pakhomovsky, Ya.A., Men'shikov, Yu.P. (2005): Khibiny. Laplandia Minerals Ltd. (in association with the Mineralogical Society of Great Britain and Ireland), Apatity, 468 pp. Mandarino, J. A. (2003). New minerals. The Canadian Mineralogist, 41(3), 803-828. Sorokhtina, N.V., Chukanov, N.V., Voloshin, A.V., Pakhomovsky, Y.A., Bogdanova, A.N., and Moiseev, M.M. (2008): Geology of Ore Deposits 50(7), 620-628. Moles, N.R. (2007) Edingtonite, harmotome and other vein minerals at the Conlig Whitespots Lead Mines, County Down, Northern Ireland. Journal of the Russell Society, vol. 10, 40-46. [BMS]; Meikle, T.K. and Todd, J.G. (1995) Silica-rich edingtonite and associated minerals from Loanhead Quarry, Beith, Strathclyde - a new Scottish locality. Journal of the Russell Society, vol. 6, 27-30. UK Journal of Mines & Minerals, vol. 29, 14.; Hubbard, N., Green, D.I., and Tindle, A.G. (2008) Barium Zeolites and Calcioancylite-(Ce) From Guisachan Quarry, Tomich, Highland, Scotland. Journal of the Russell Society, vol. 11, 73-79.; Cotterell, T.F. et al. (2011) The mineralogy of Dolyhir quarry, Old Radnor, Powys, Wales. UK Journal of Mines & Minerals, vol. 32, 5-61.